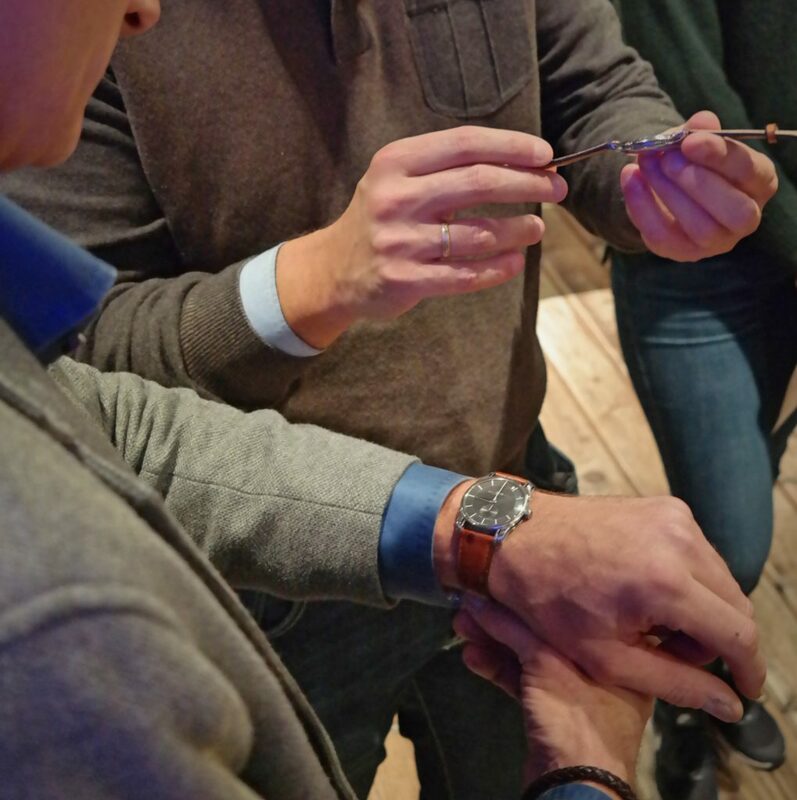 Last Tuesday we had the privilege – amongst others – to join Michiel Holthinrichs at his presentation of the new Dutch brand ‘Holthinrichs Watches’. Once again, we can be proud of a ‘horology’ thing coming from Dutch soil. After all, it’s not easy to stand out in an industry dominated by Switzerland. Anyhow, we travelled to Delft, to visit the faculty of Architecture, belonging to the Delft University of Technology. The place where Mr. Holthinrichs started – and successfully finished – his study. Getting a master’s degree in architecture this year, Michiel definitely knows his fair share about design and essential aspects. In case of new watch brands we did get the feeling of; “Here’s to the crazy ones. The misfits. The rebels. The troublemakers. The round pegs in the square holes. The ones who see things differently. They’re not fond of rules. And they have no respect for the status quo”… do you get it? 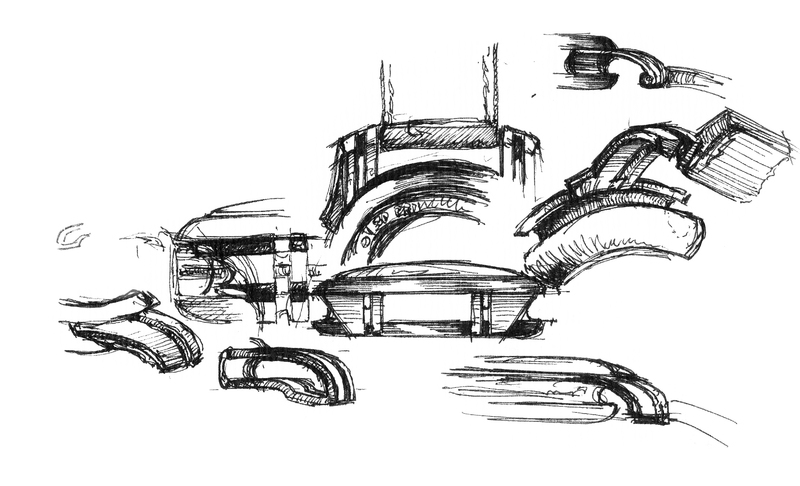 Because of Michiel’s architectural background, we see that his vision on the design process is one that doesn’t stick to any boundaries. 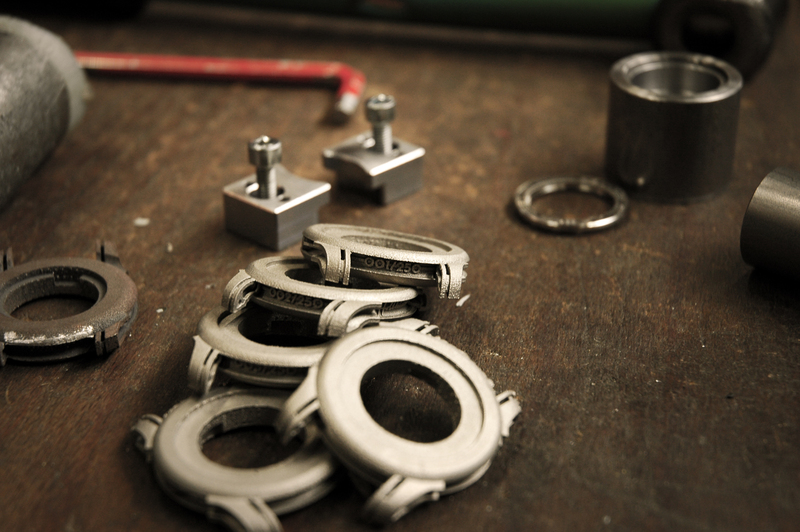 Because of this work ethic, 3D printing became a must for his concept. Realizing this would be the only option, he went much further than anyone else would be willing to. I guess you could say that Mr. Holthinrichs is very much a ‘think different’ individual. We spoke to Mr. Holthinrichs a while ago and the contact has never faded. 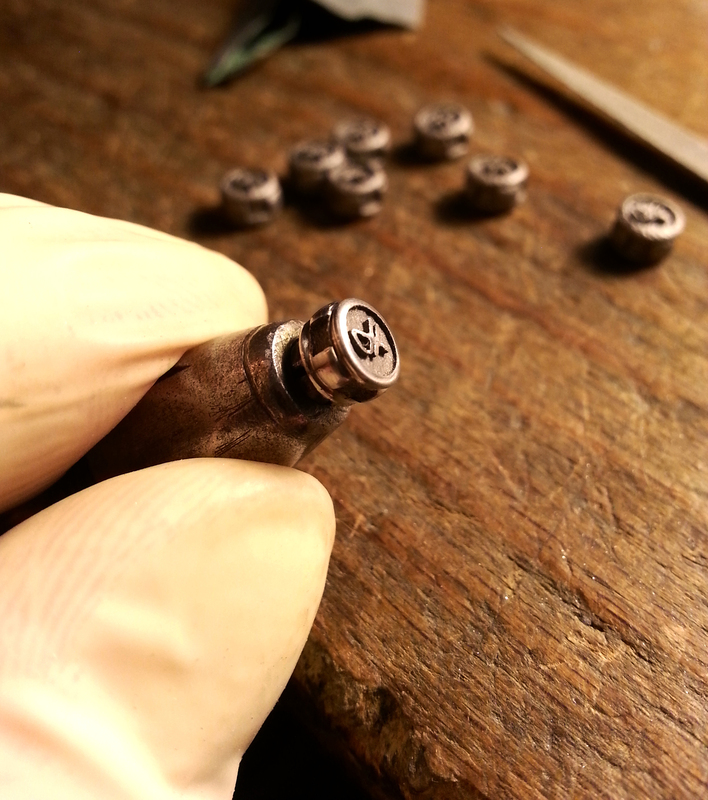 He kept us up to date about his process and – as with all watch enthusiasts – we could discuss watches for hours. What’s remarkable about this young man is the fact that he’s very humble. His vision on certain things and on his watch project is very clear. 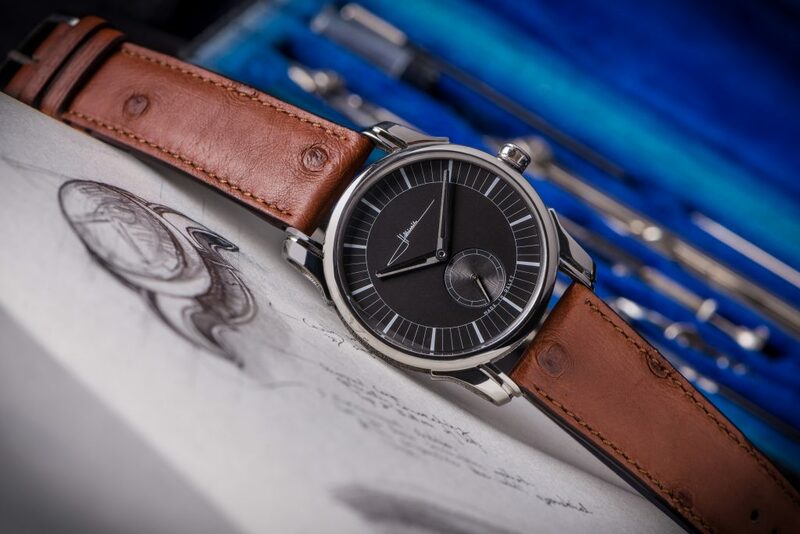 Combining esthetical aspects of modern-day watchmaking with classical vision within the process of designing, makes Holthinrichs Watches a brand much different than others in this category. Right from the get-go it was clear that Michiel thought this through. The location, the Berlage room inside the faculty of Architecture, was perfectly furnished for the occasion and there was a very laidback atmosphere inside the room. What I personally liked very much was the fact that all people helping Michiel were dressed in the same way the Holthinrichs man likes to start the day: well-suited in a classy style with a feeling for a true gentleman’s appearance. Before I move on to the presentation and the ‘why’, I would like to point out one thing in special. 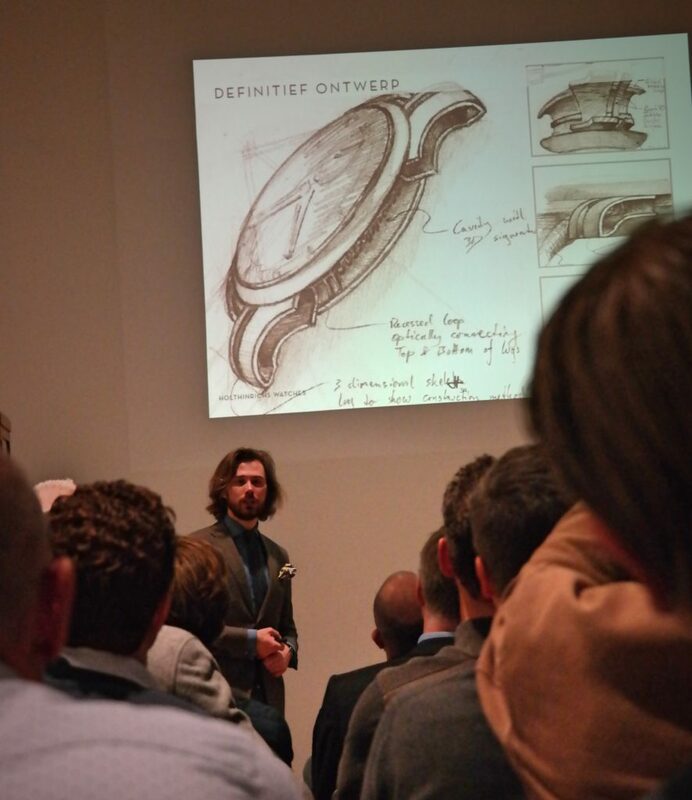 Something happened that Tuesday night what resembles the flawless way of how the watch industry should look like: Michiel’s presentation was accompanied by different other Dutch watch brands. All of them present to express their respect, learn from each other and share their passion. Something that made my Dutch watch loving heart beat faster; I love the harmony and the willingness to help each other become even better and more experienced. Rather than to see each other as competitors. Go Dutchies! Moving on to the presentation, it soon became very clear that Michiel’s path of life was definitely paved in collaboration with both his parents. His mom being an artist, his dad being a classic car mechanic – you see where Michiel’s passion for art and technique comes from. He explains what made him decide to create the brand Holthinrichs Watches and – in comparison with other stories – this was one of the few times I actually believed a story and it felt like the truth. Knowing he wanted to become and architect as soon as he was 8 years old, Michiel started his study at the University of Technology in Delft, to finish it in March of this year. As the journey towards his Master’s degree continued, he realised that the little details in massive structures became more and more interesting to him. Whilst being very enthusiastic, I believe the people in the room learned a few bits and pieces about architecture and – most important of all – about the Ornament. Ornamentation is all about detailing personal expression and displaying sophistication. 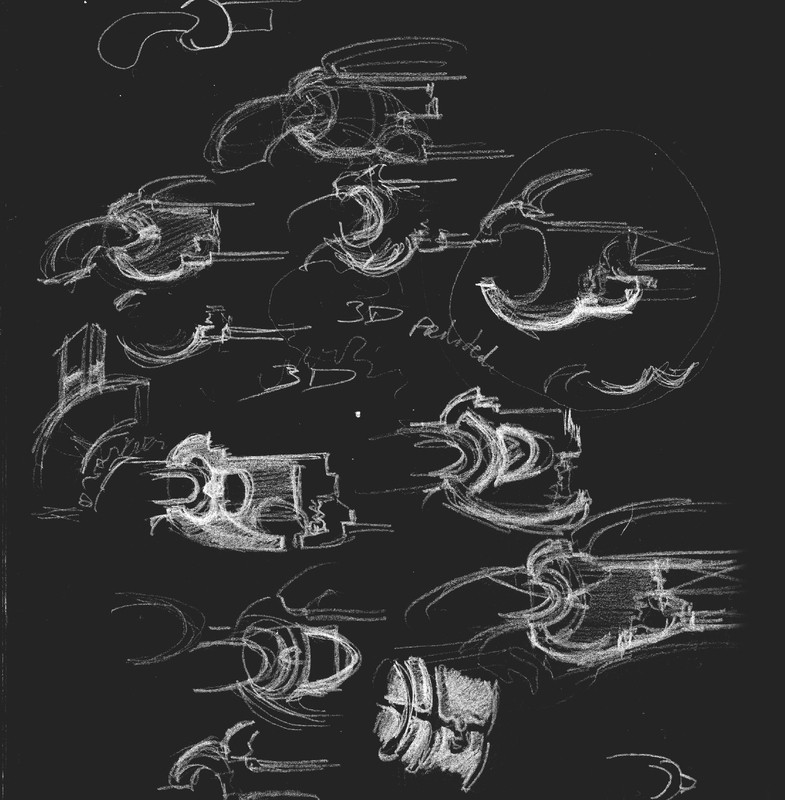 The Ornament, the most important detail of a design, tells a story about that specific design. It’s a small piece of a larger puzzle that gives an outsider information about the bigger picture. You get it? This is exactly what Michiel wants to achieve with his watch. As a watch – in his eyes – should always tell something about the person that wears it. He compared it with shoes, furniture and cars. However, there’s one big difference with these products: a watch can always be in your company. A vision that – in essence – is very simple and traditional for watch heads like you and me. But one that has been left on a shelve for years by the big brands. Of course, Mr. Holthinrichs wouldn’t be a good architect if he didn’t play with certain materials, production processes and design elements. So he did, and boy did he suffer. 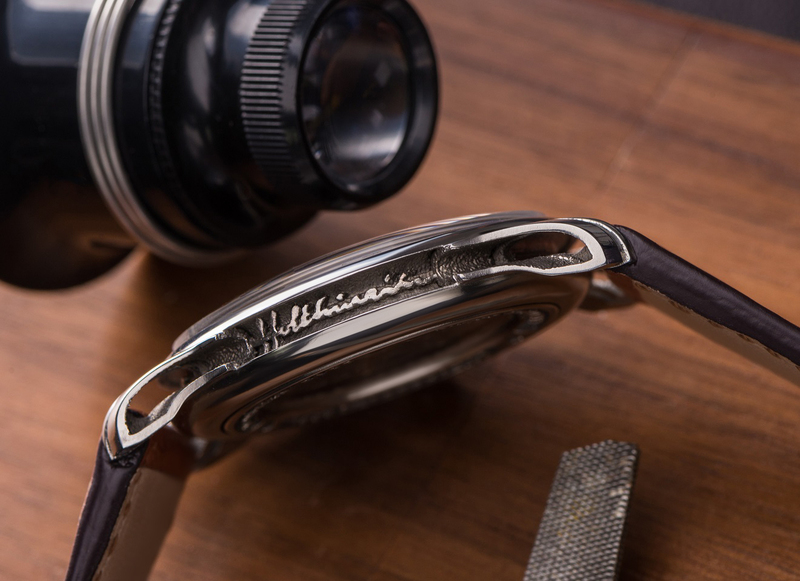 The most unique part of Holthinrichs Watches is probably the case of the watch. Why? Because the case is fully 3D-printed. 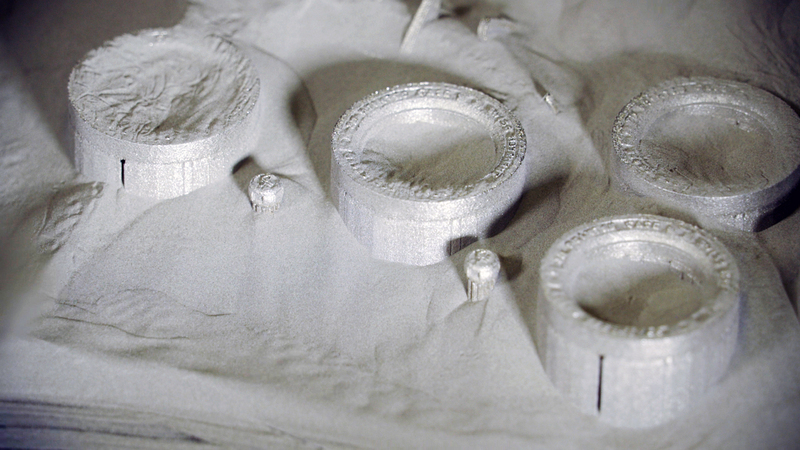 Now we all know that some technology is incredible and mind-blowing, so is 3D-printing. However, it sometimes literally blew Michiel’s mind as the process was full of speedbumps and unforeseen difficulties. He kept on going and by walking the path of trial and error, he finally created a product that displays the essence of designing. 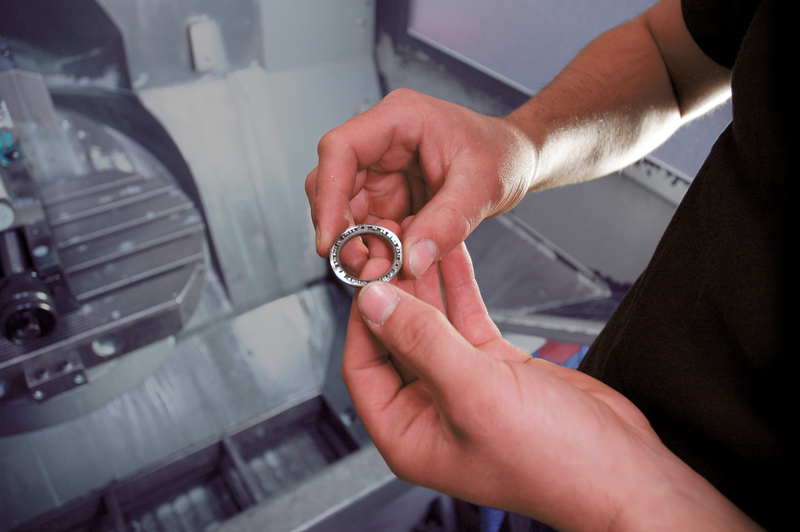 Combining modern-day technology with classical design. Michiel created his ultimate ornament: the Ornament 1. In his search for the ultimate watch, Michiel created a timepiece that inspires, compliments and intrigues. 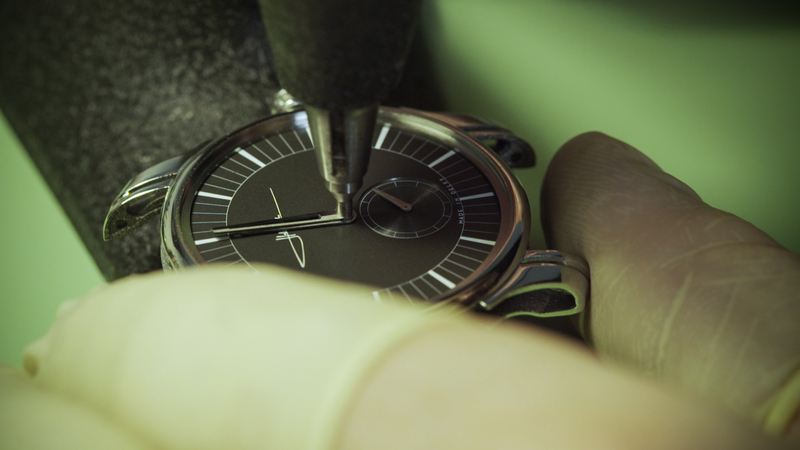 Combining the future of our technology and completing it with the craftsmanship of a designer – the finishing of each watch takes up to 80 hours of polishing by hand(!) 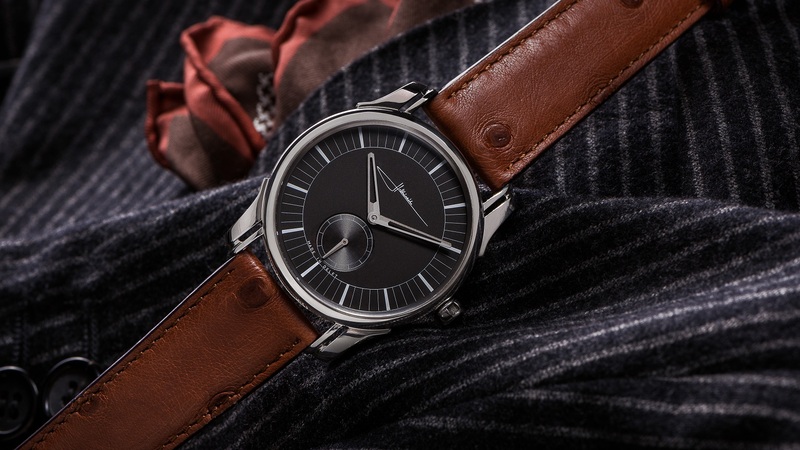 – Holthinrichs Watches is a brand with a lot more than meets the eye. He created his dream with fundamental characteristics coming from an architect, a vintage watch lover, a designer and a well-dressed man. It’s a watch that can’t be worn without knowing the story behind it. There’s no made up Hollywood gossip to this watch, it did not travel to Pluto and it’s not filled with diamonds either. This watch embodies passion, vision, knowledge and a man’s dream. If you like it or not, you have to respect the process and the story behind this timepiece. There are no figures. Not in this article, not because I don’t want to, but because they have no place here. This article is dedicated to the story behind this brand and the decisions made along the road. Mr. Holthinrichs created a brand because he felt like doing so, with each and every detail thought through and explained. No nonsense, no fake promises. 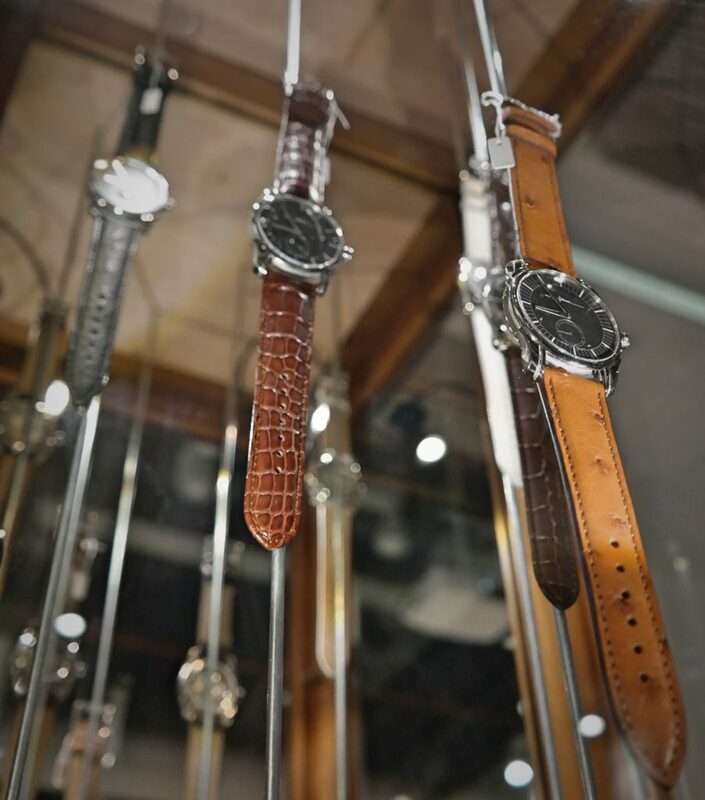 Holthinrichs Watches is a brand you like or not, but one that’s true from the beginning until the end. I can’t speak for you, but me, I am a proud Dutchman to see that a man like this created something that should be the essence of every new brand. Doing what you love, with passion and a strong vision. There will be a ‘hands on review’ with facts and figures, very soon. With more pictures of the watch and all the technical information you wiz kids like to talk about. I salute you. Make sure to check out the video at the end of this article, the man himself about his dream.